With our Pre-Sale Cleaning services, you can get your property looking its best and ready for sale! 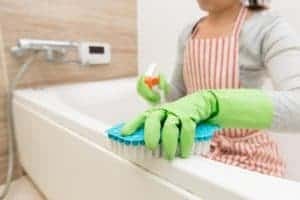 Getting a house ready for sale can be a time consuming process and the last thing you would want to be bothering yourself with would be having to thoroughly clean it yourself. There may be nooks and crannies that you may not have even thought about. That is where we come in, we have experienced and professionally trained cleaners that would be able to transform your property into something that investors would be crazy for. With us you can be rest assured that the job will be done to your highest standards. A clean and spotless house always creates a far better impression than a property that looks like it is lacking a little love. A beautiful clean home will look much more inviting and help your buyers imagine themselves living there. There may be parts of the house that you didn’t even think of cleaning. Having professional cleaners will mean that even the fussiest of buyers would not shy away from your property. The way your house looks can make a huge difference on whether you make the sale you have been dreaming off. The gleaming floorboards, and shiny counters will simply help the right buyer say yes that much faster. You may already be busy talking to property agents and lawyers while trying to get ready to put your house on the market. By getting someone else to make sure your property is in tip top shape, it just means you have one less thing to think about. Call us right now to get a free quote and hear more about the services we offer! Perth Home Cleaners provide professional for sale cleaning in Perth. Owners realise the importance of providing a clean house for showings and presentations. Our customers find it a good investment to have a property that’s up for sale to be completely professionally cleaned so that every nook and cranny is clean which will help the house be sold for the highest price possible. We often clean very large 4, 5 or 6 bedroom houses with 2 or 3 bathrooms. We clean the whole house including any furniture paying special attention to light fixtures, the kitchen, bathroom, windows and floors. For sale cleaning is similar to a spring clean although often the standard for cleaning is higher because the house is going to be on show to the neighbourhood and highly detailed cleaning is usually required. Sometimes our for sale cleaning is used after a recommendation from the real estate agent who have first hand experience the difference a clean property can make upon the final sale price. It is easy to book cleaning with Perth Home Cleaners, either phone or email us. We are happy to provide a quote and estimate for the cost of cleaning. Sometimes the new owner requests the house is completely cleaned prior to settlement. Perth Home Cleaners can help at these times and are happy to schedule cleaning that fits in with your settlement date. 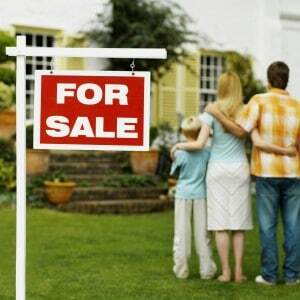 For sale cleaning in Perth is a smart move to sell a valuable asset like your house. For sale cleaning is undertaken by astute home owners looking to maximise their sale price. Perth has become a large residential home market and there is constant interest in our for sale cleaning in the Perth area for home opens and sales. This creates a demand for professional cleaning services throughout the area. With many houses having nice views we provide superior window cleaning along with our regular cleaning to help with property showings. 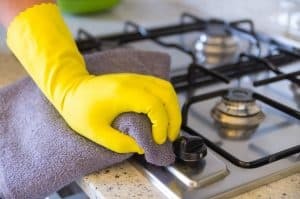 House cleaning and home cleaning in Perth in anticipation of placing your property on the market can help in many ways, firstly it can make your property highly presentable for showings or ready for auction and secondary it can give you a nice clean home to live while your house is on the market. For sale cleaning at your premise. More often than not a tenant is vacating a rental property after the owners have decided to sell the house and consequently the tenant requires an end of lease bond clean and the owner is anxious to ensure the cleaning is performed to a high standard. 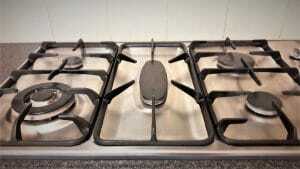 In these circumstances we can combine the end of lease cleaning with for sale cleaning. 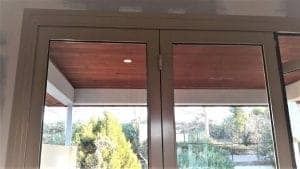 This will help to solve everyone’s problem of how to bring the house back to its original condition and how to make the property ready for sale. Your property in Perth may have been vacated sometime ago and you require a vacate cleaning service to remove any build up of dust and to make sure the property generally is presentable. This can be a one off clean where we do a deep clean once and then hopefully the property is sold before any additional cleaning is needed. For sale cleaning in the kitchen. Renovations in Perth often occur to help make a property saleable. Painting is a common exercise as an easy way to dramatically renew your house. We often time our cleaning to occur just as any tradesmen are finishing up to try and provide the most efficient service possible. 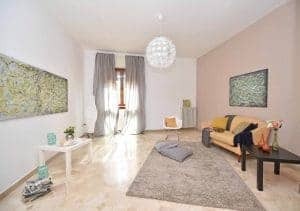 If your house is furnished while renovations are carried out, this makes it even more important to conduct a builders clean, the last thing you want is for potential buyers to be discouraged by mess at the house, and worse the condition of the house may be used in the negations, weakening the sellers position. Perth Home Cleaners domestic cleaning services can be used by real estate agents to prepare a house for sale. We are happy to take requests from real estates agents and find they know exactly what cleaning they want done to maximise the sale price. Sometimes our window cleaning service is the only cleaning service used prior to placing a house on the market. We are happy to provide full window cleaning for a house being put up for sale. Clean windows can make all the difference. Commercial buildings that require for sale cleaning in Perth is often very important for both the seller and buyer. We can take the stress out of your commercial office cleaning if the building is being put on the market for sale. We will clean your office to a high standard. Phone Perth Home Cleaners to discuss how we can help with cleaning your house in Perth so you can sell it. We supply all the materials and equipment and offer professional advice on what is the best cleaning strategy for your individual needs.